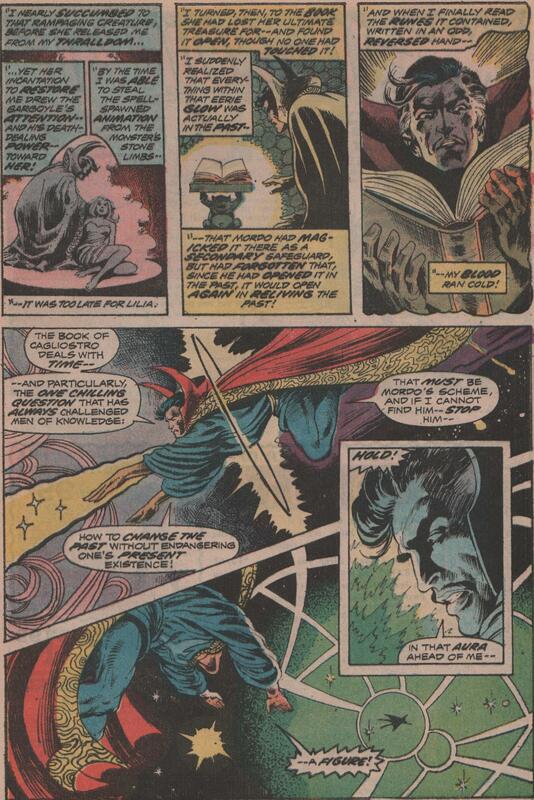 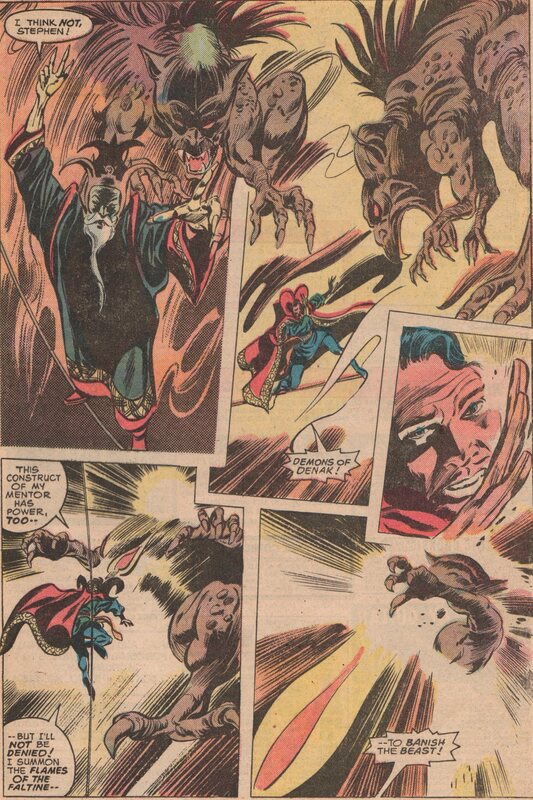 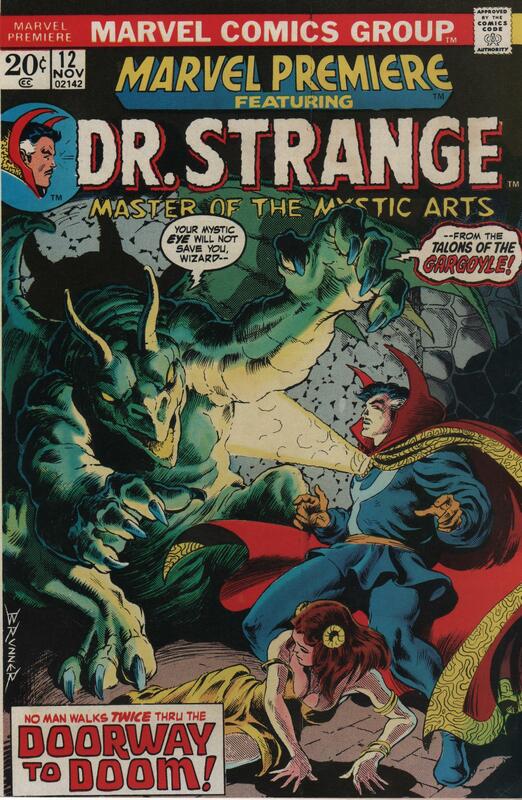 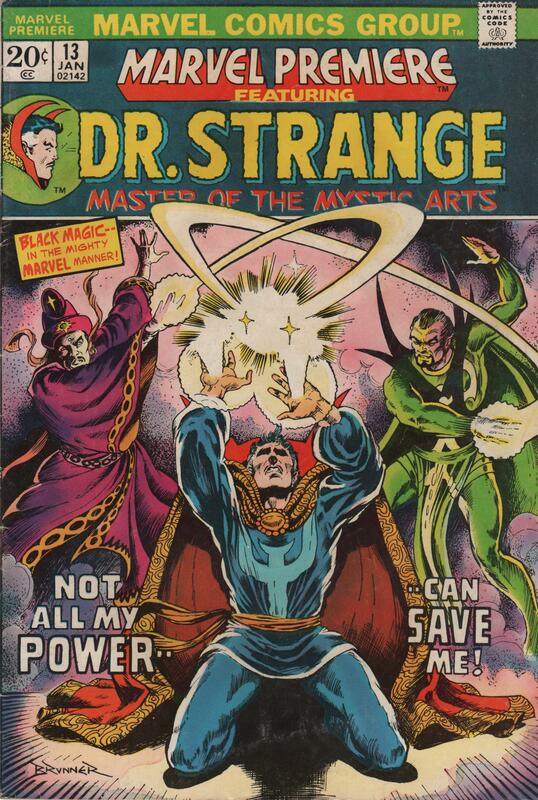 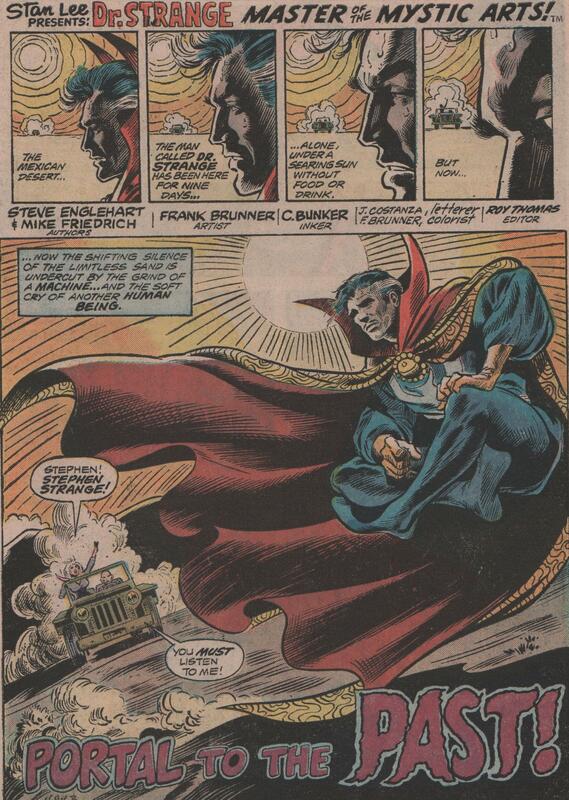 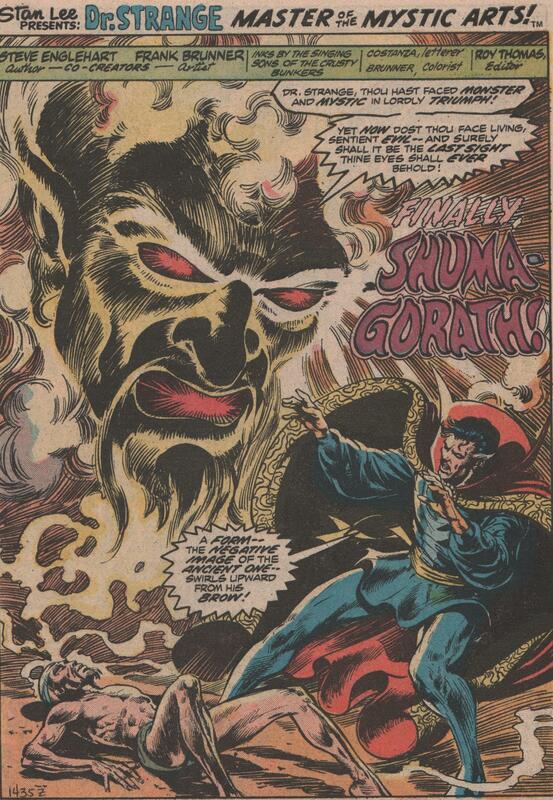 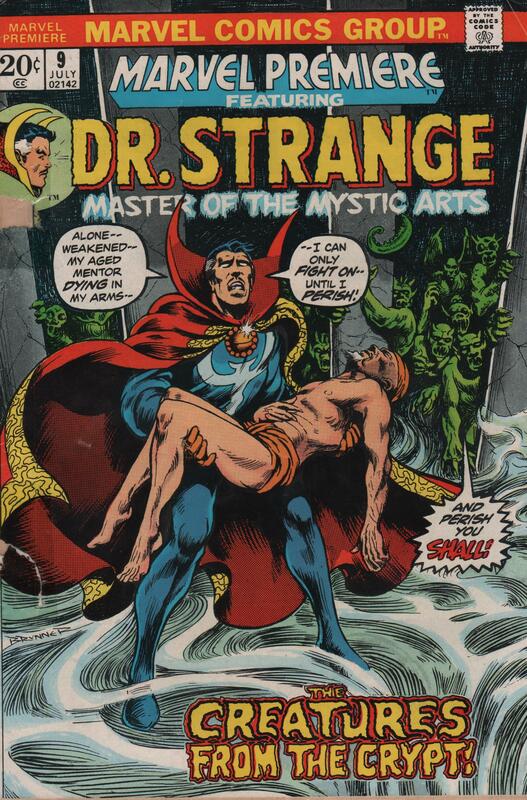 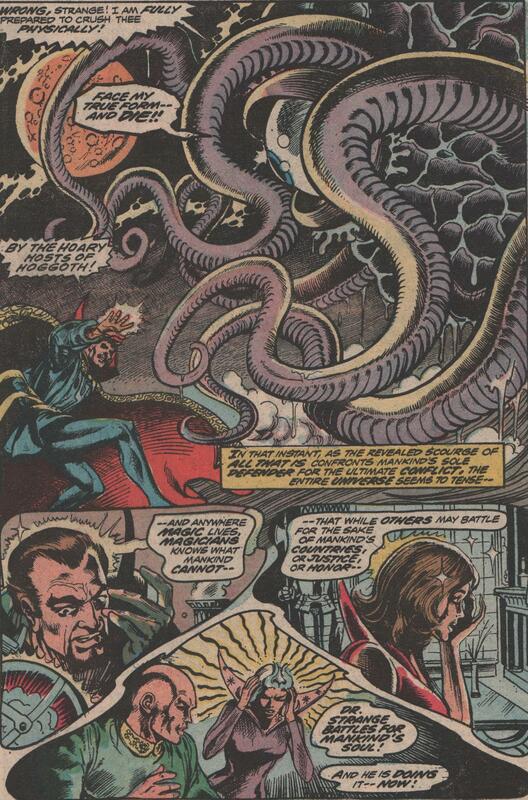 Steve Englehart | Magazines and Monsters! 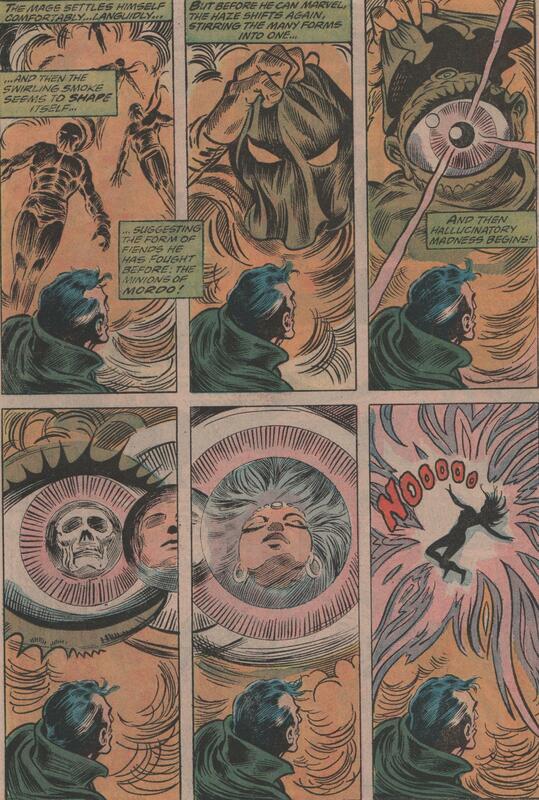 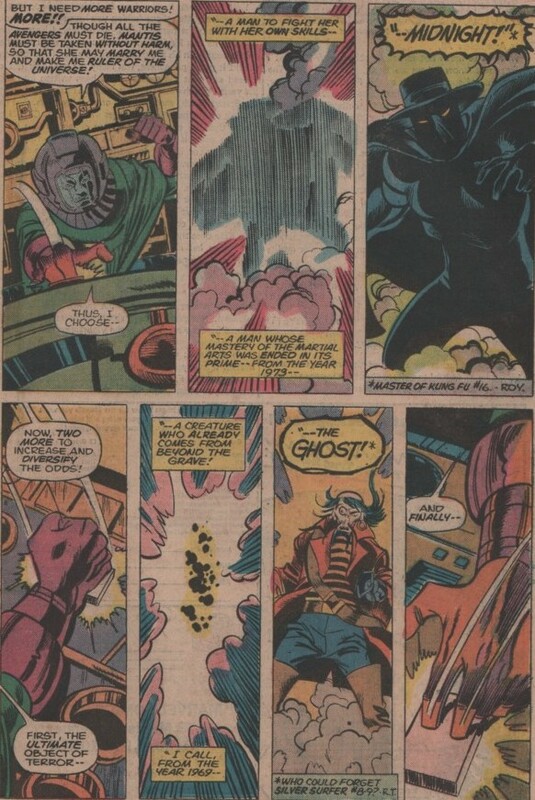 It’s no secret that Stainless Steve Englehart is one of the best comic book writers from the Bronze Age (and maybe of all time?). 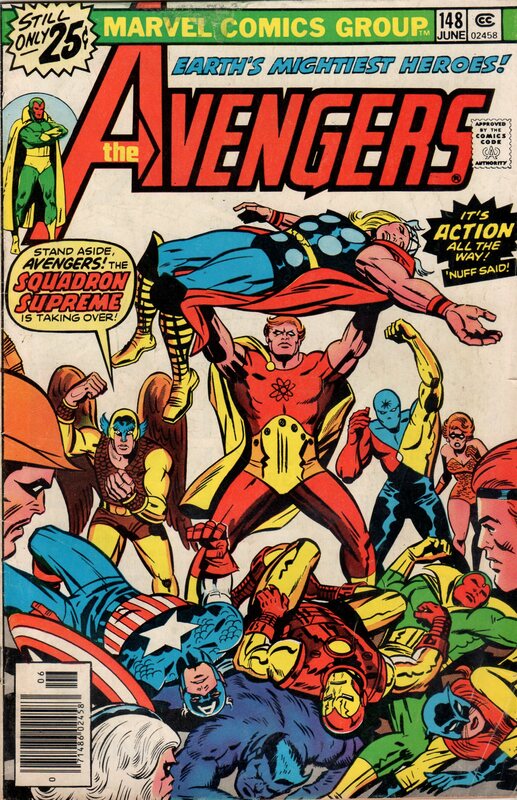 One of his most important legacies is his work on The Avengers. 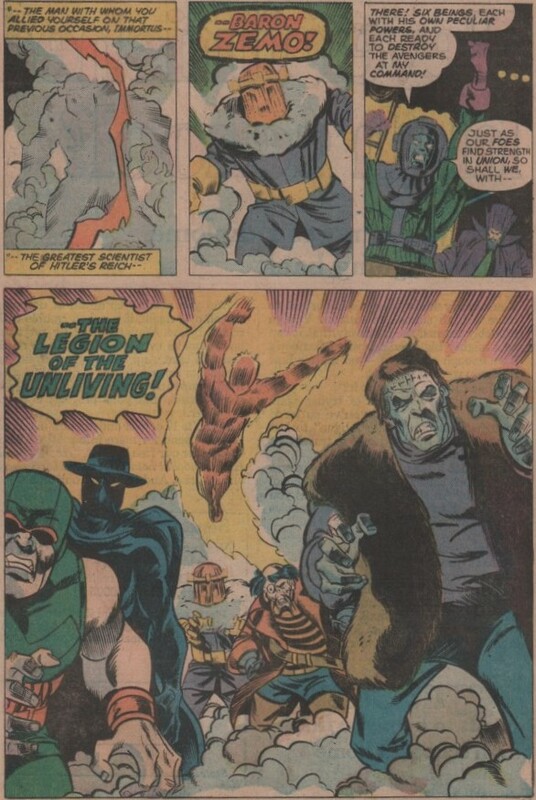 Being only the third person to write that title (Lee and Thomas preceded him), is quite an honor in and of itself, but Englehart took what was there and built a mansion on top of that foundation. 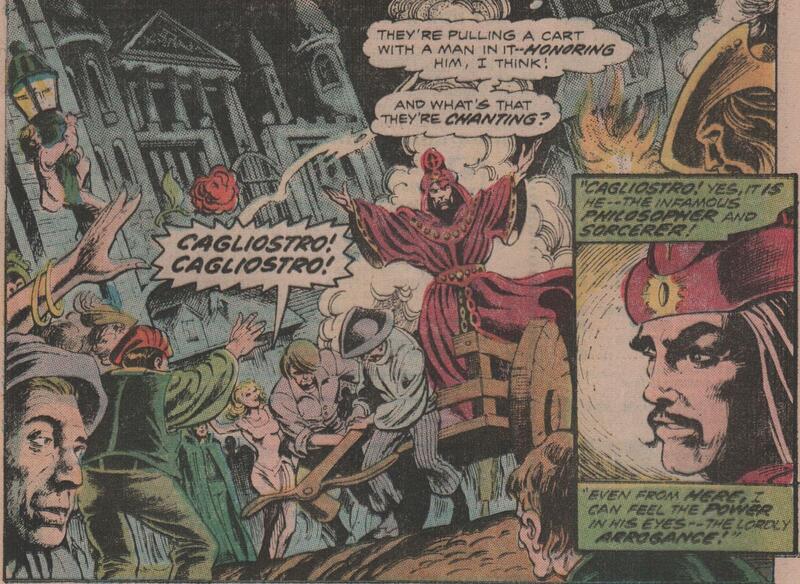 He took the team to new heights with his reality spanning story, The Celestial Madonna. 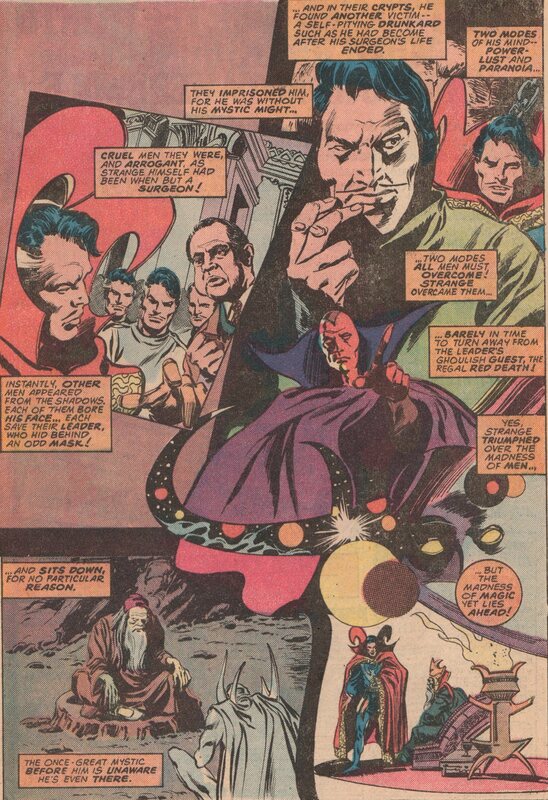 Kang, the main antagonist of the story, was elevated from a more simplified villain, to a complex character that had many layers. 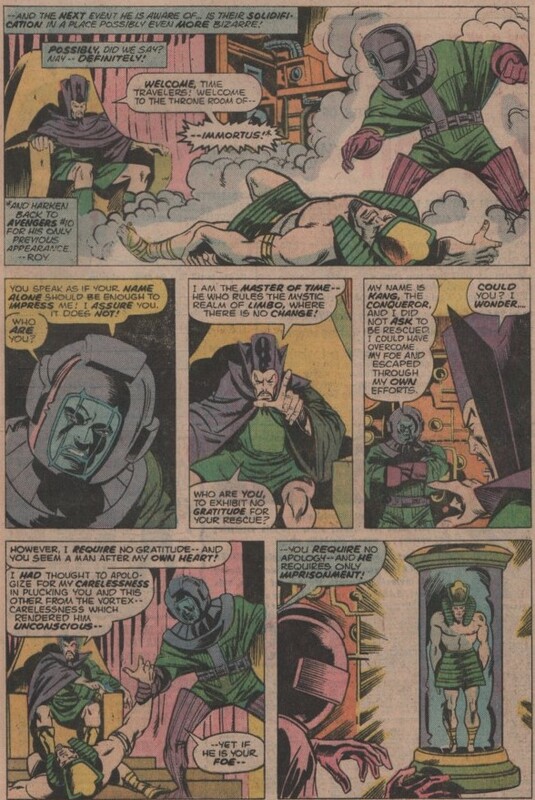 In this issue, we see him overpower not only another version of himself (Rama-Tut) but a third version (Immortus) all within mere pages! 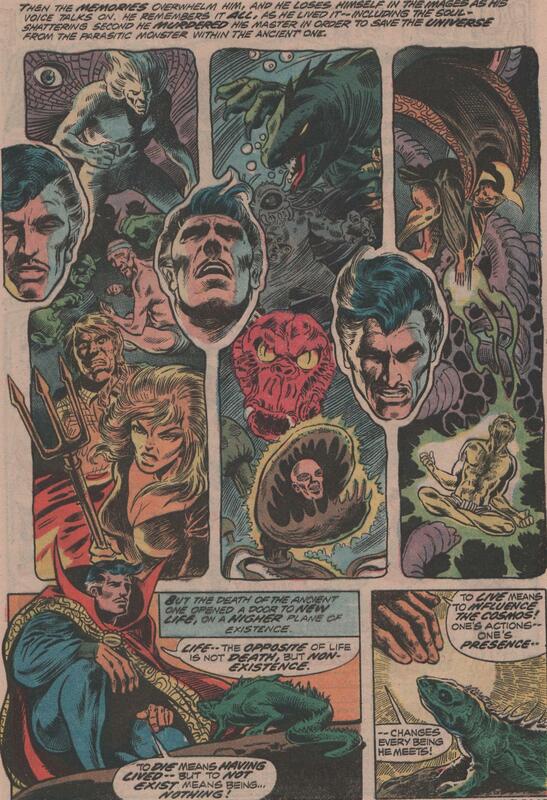 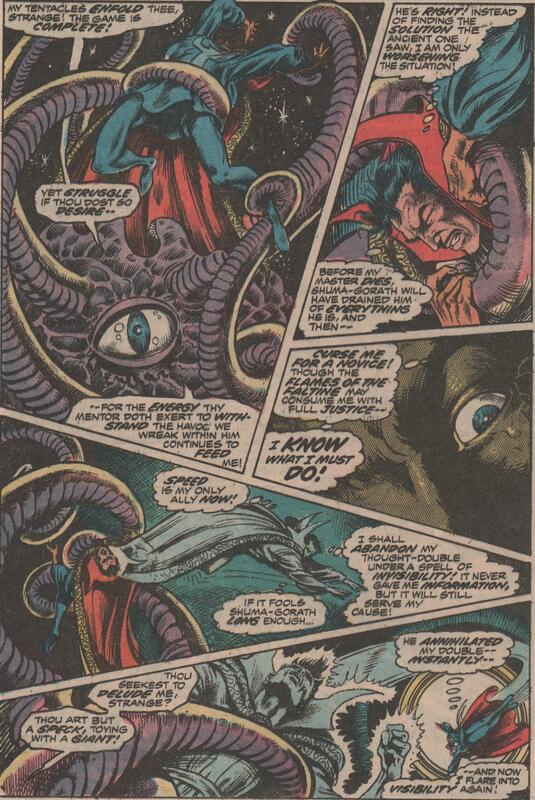 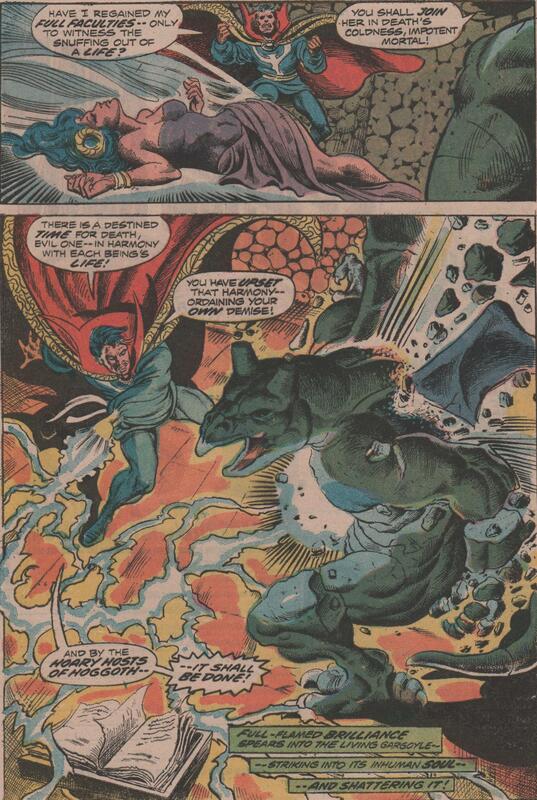 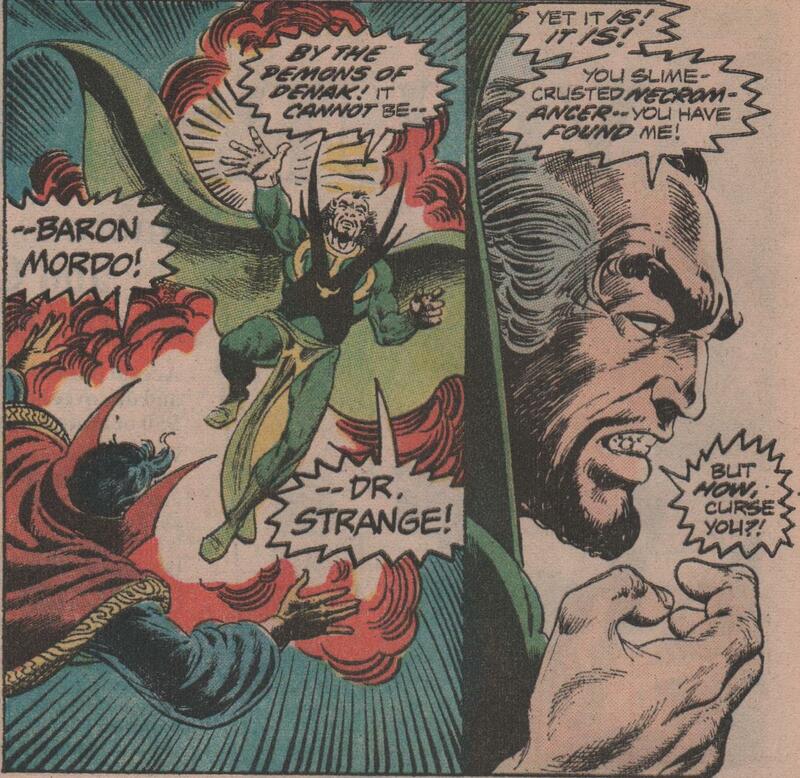 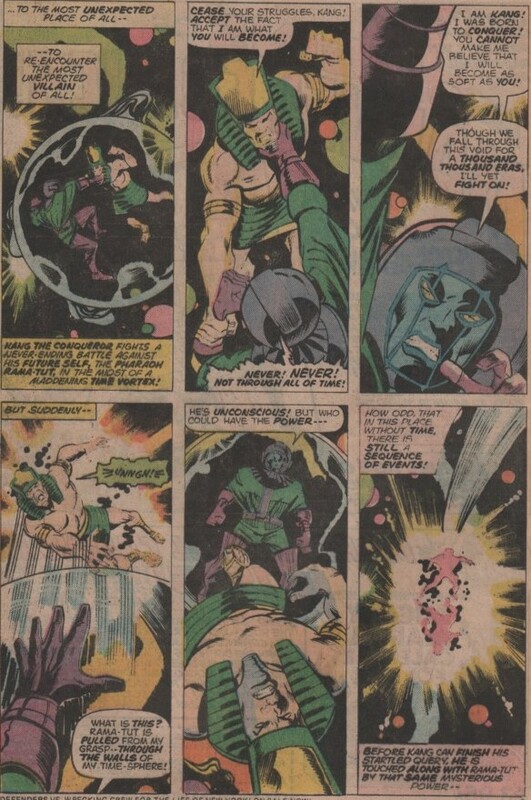 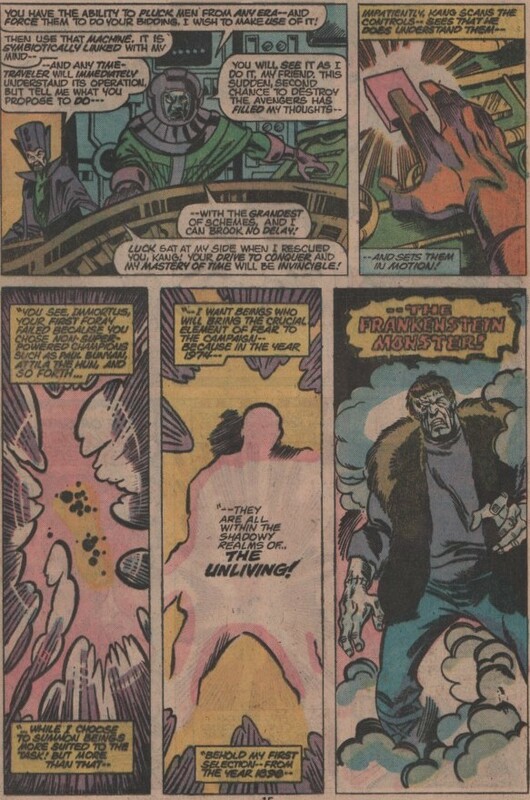 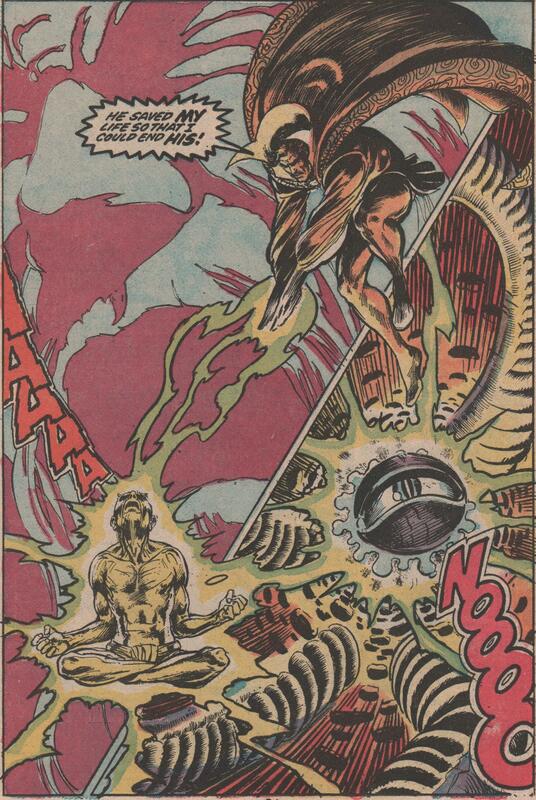 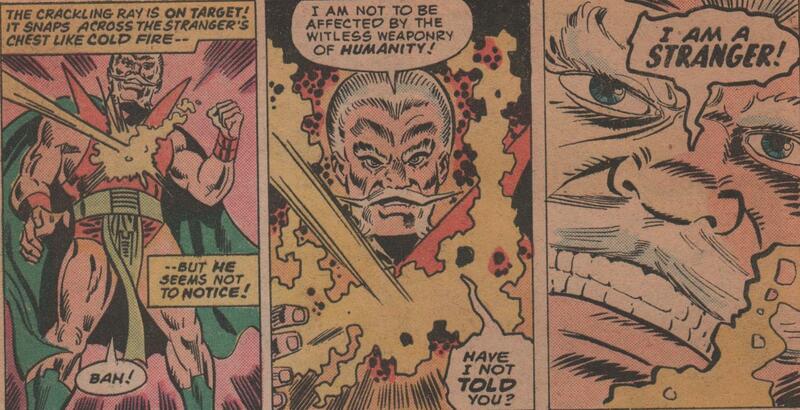 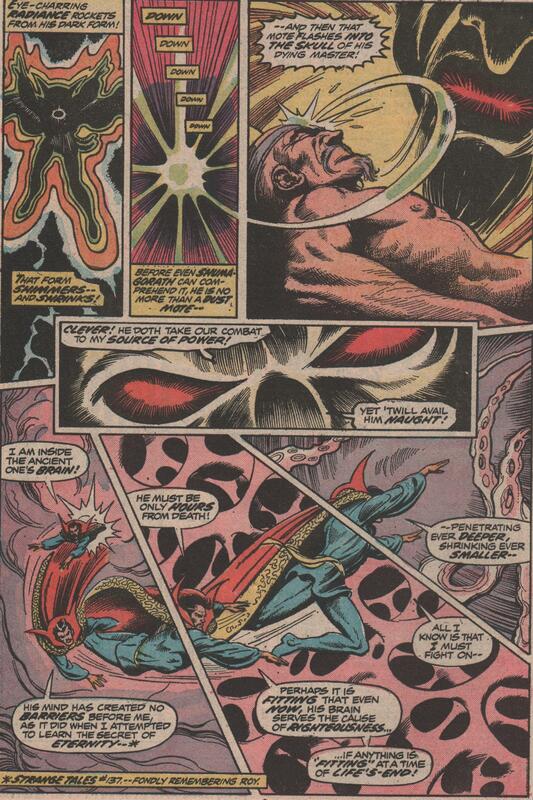 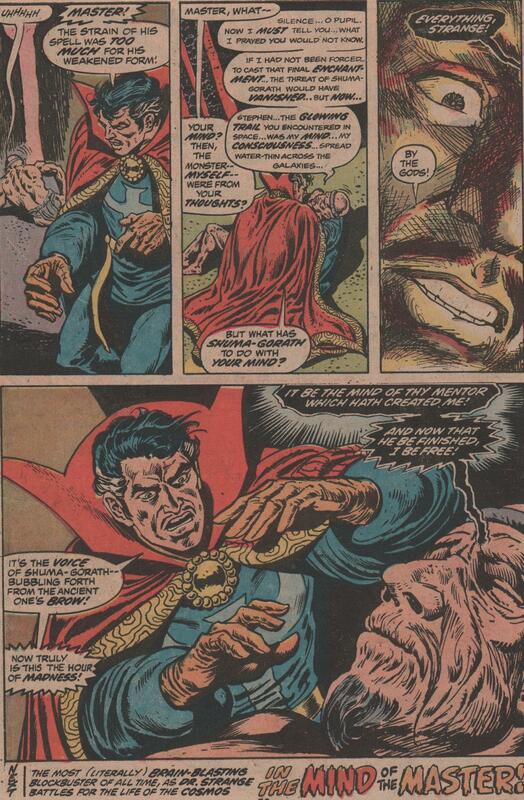 As if that wasn’t enough, Kang then summons (using the technology of the master of time, Immortus), six characters from the past- Midnight (from Shang-Chi), Wonder Man, Baron Zemo, The Ghost (from Silver Surfer), and Frankenstein’s Monster! 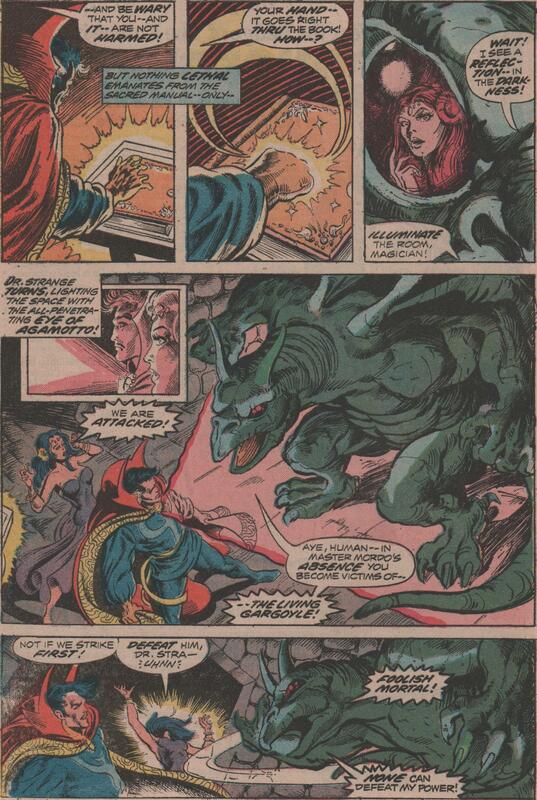 He uses them as pawns to attack The Avengers inside a castle! 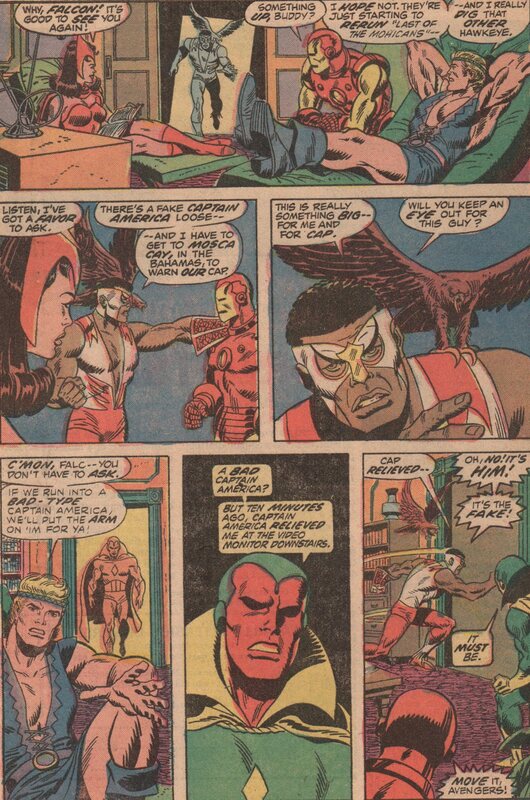 Top to bottom, Englehart, Sal Buscema and Joe Staton (artists), Tom Orzechowski (letters) and Phil Rachelson (colors), did a magnificent job on this book! 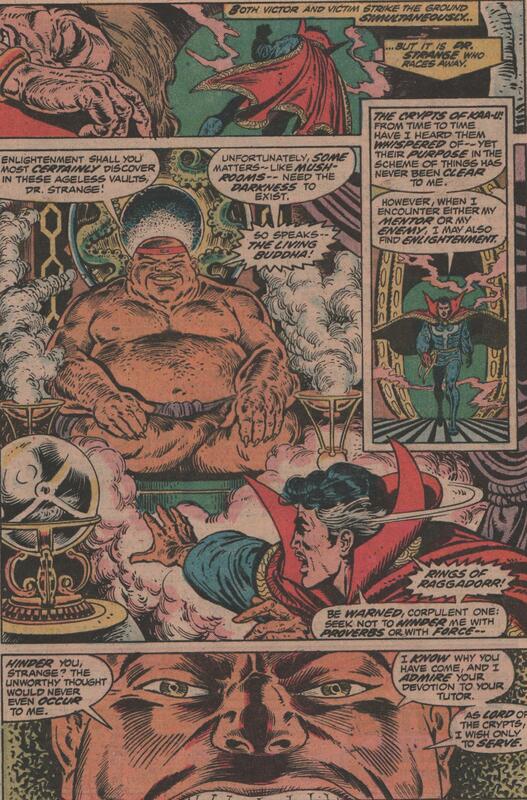 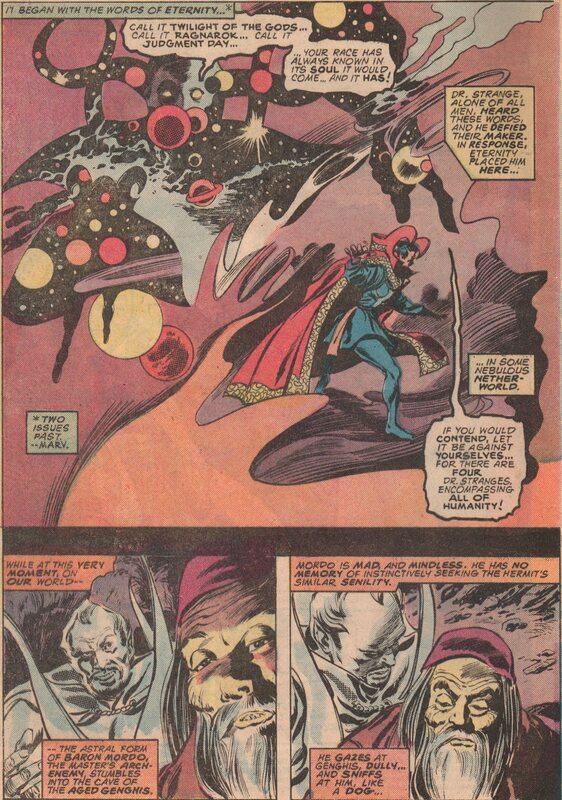 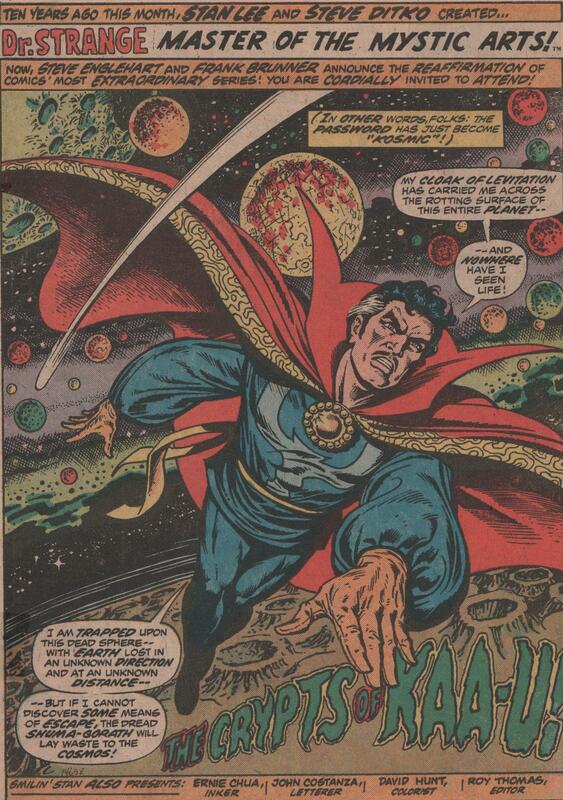 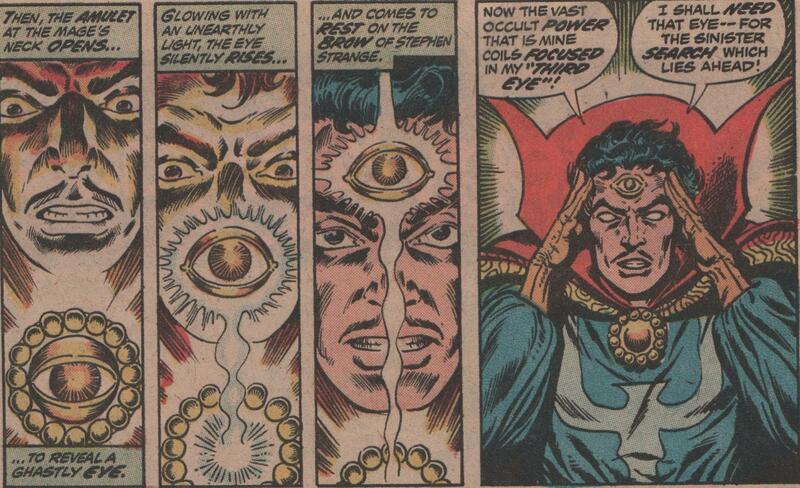 Taking a quick break from my look at Marvel Premiere, let us now see what the Marvel cosmic universe holds! 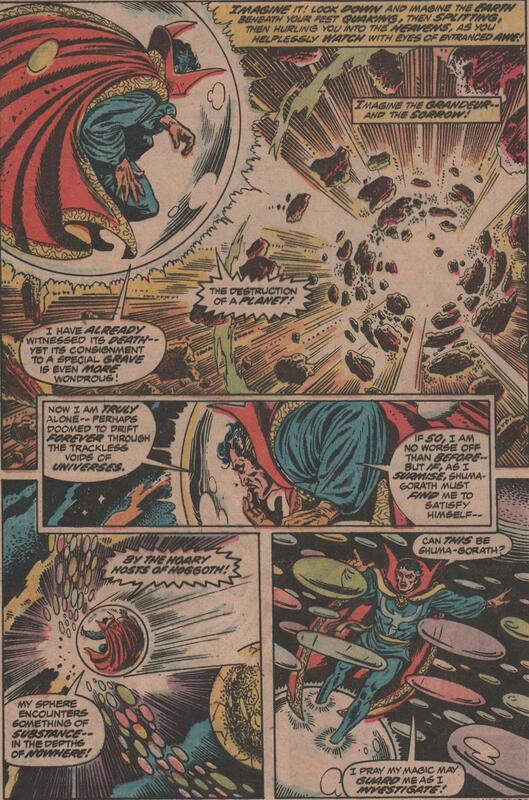 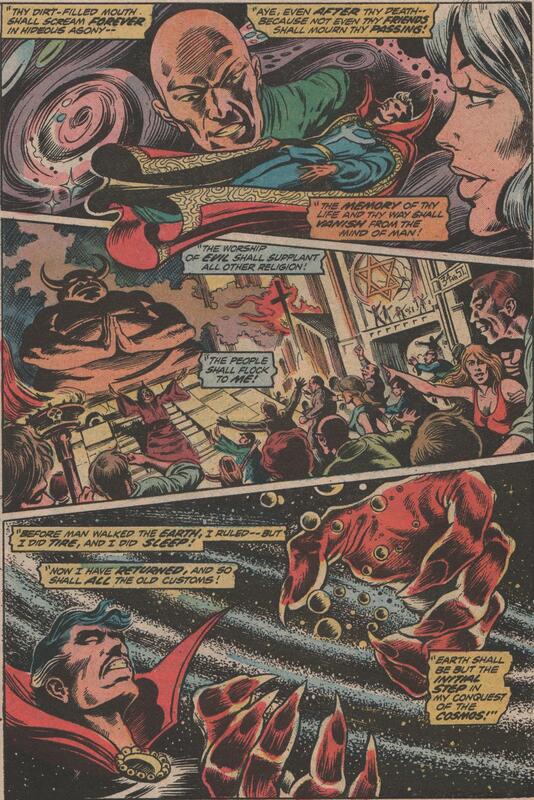 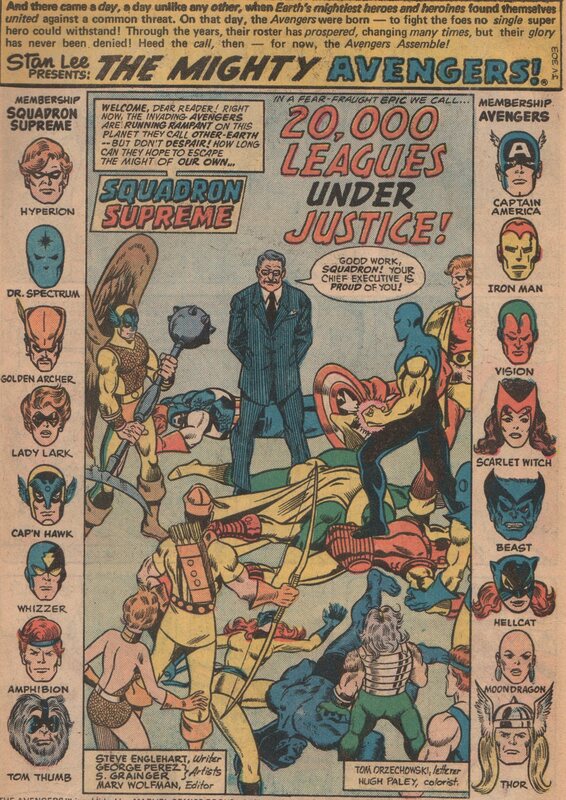 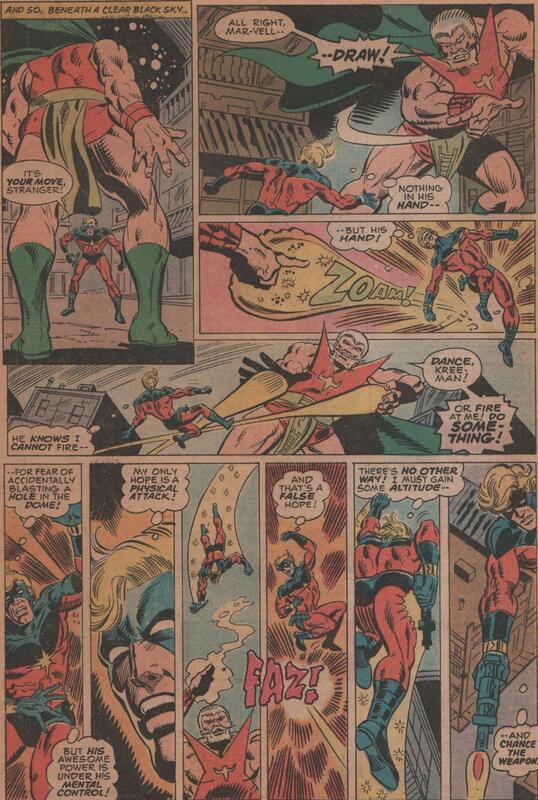 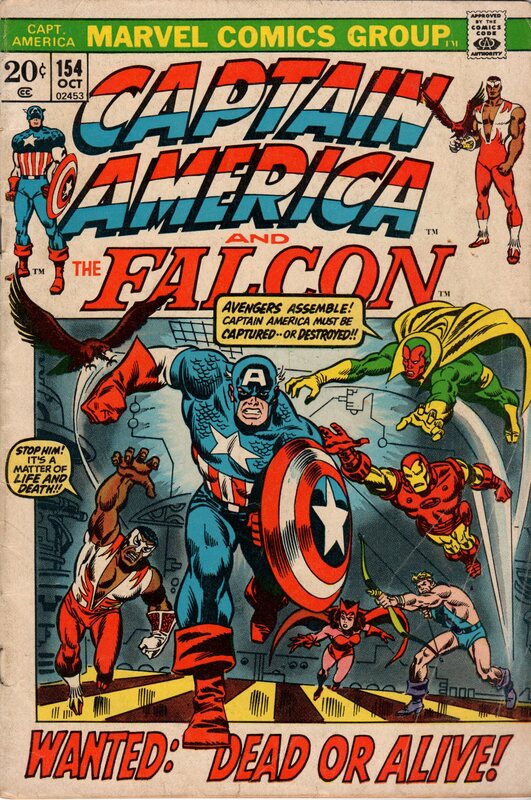 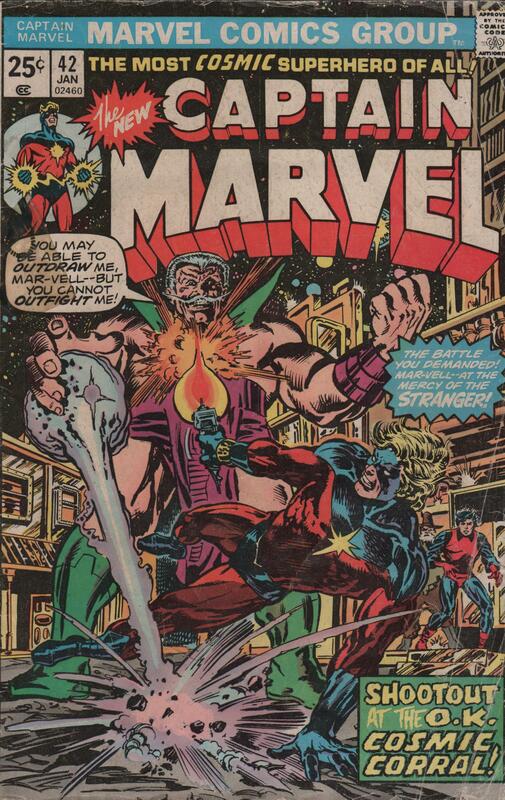 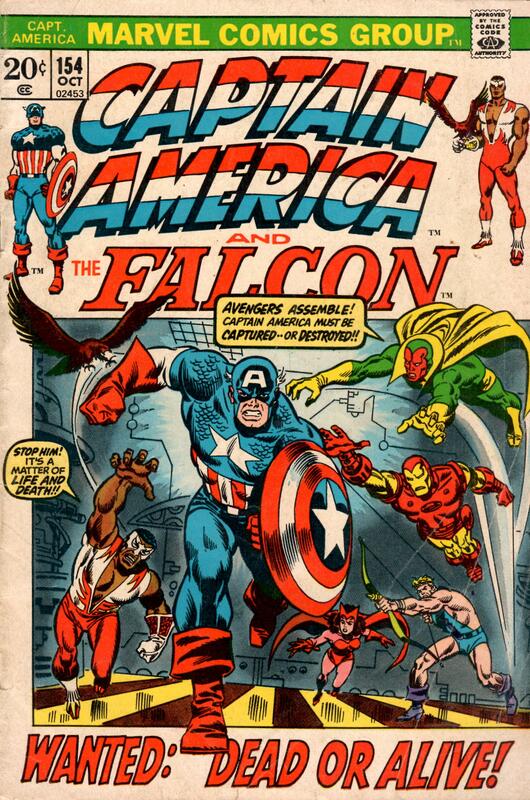 As the Bronze Age rolled on, it was quite clear that Marvel was going to keep the cosmic train rolling, and heroes such as the Guardians of the Galaxy, Starlord, and of course, Captain Marvel! 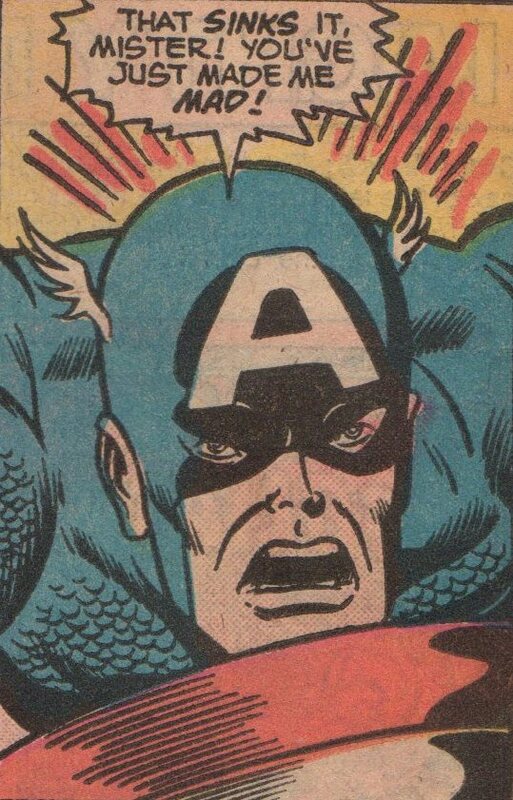 The creative minds behind this invigorating time were varying but exquisite nonetheless. 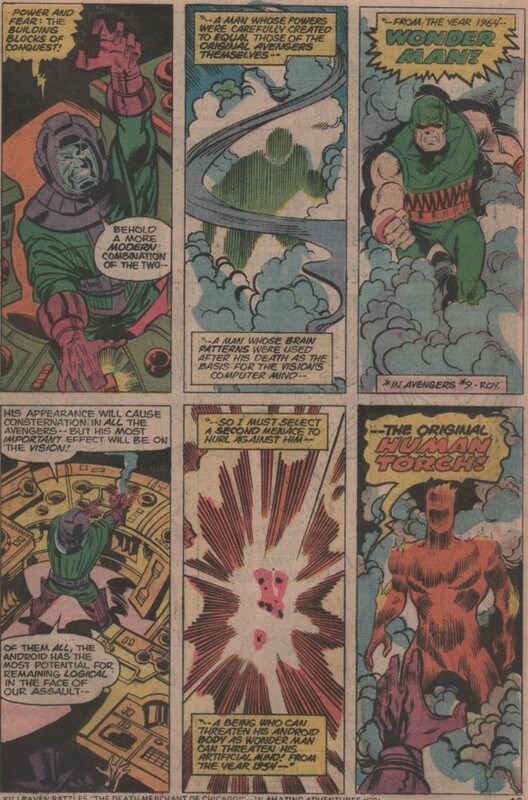 In this particular story, we get to see not only the Kree man, Mar-Vell, but also Rick Jones, and the mysterious cosmic being the Stranger! 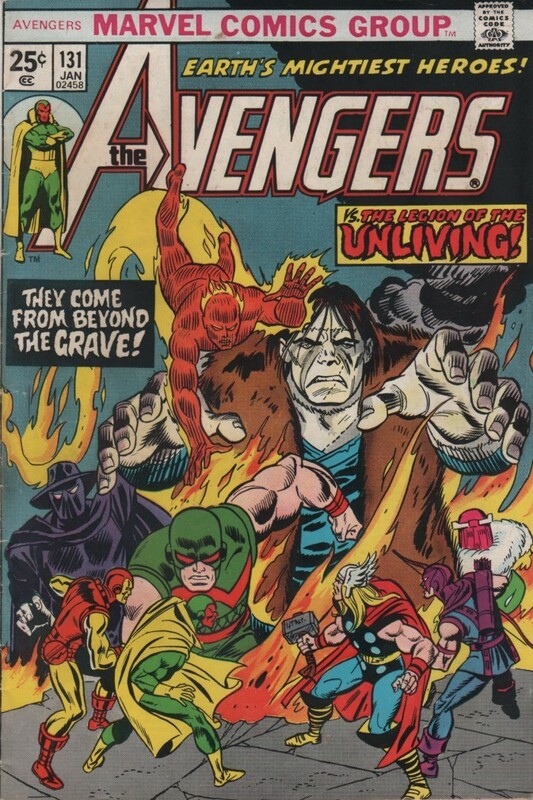 One of the reasons I love this issue is because of the title. 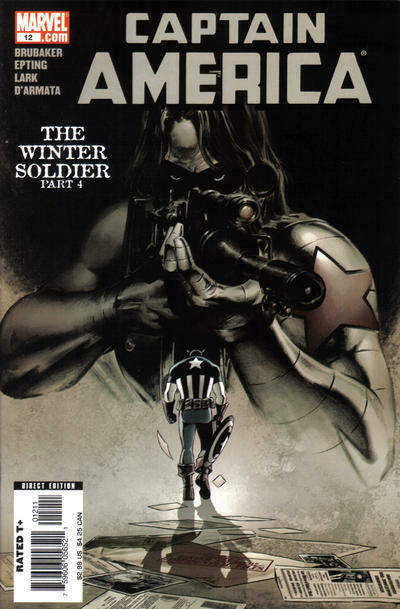 I’m a sucker for anything related to the old West, such as movies like “Tombstone” and the like. 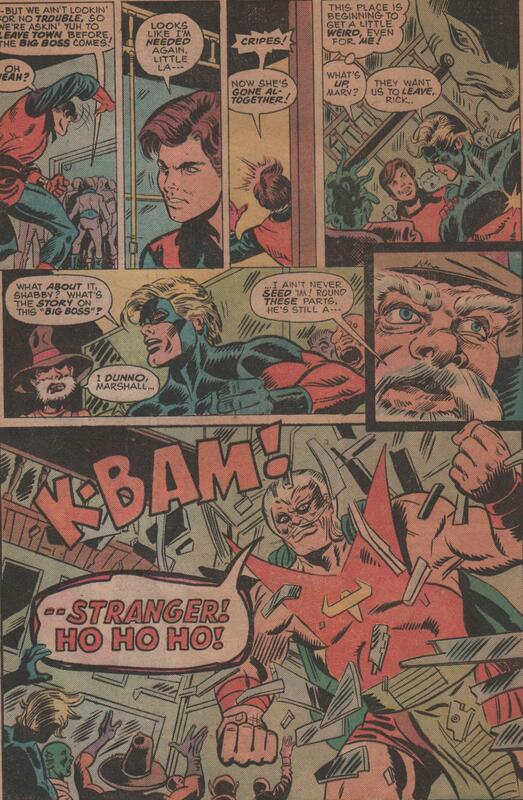 The scene in that film where the famous gunfight at the O.K. 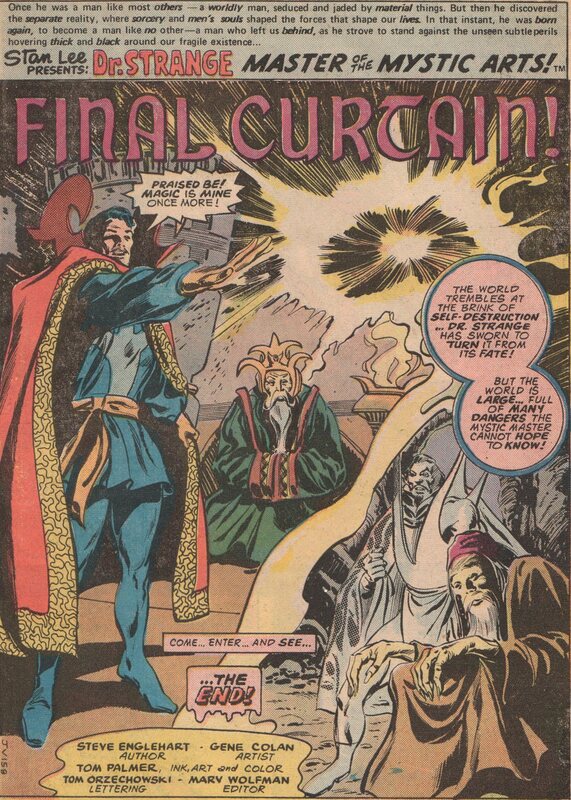 Corral occurs is fantastic, so the idea of naming this story after that event is doubly as cool! 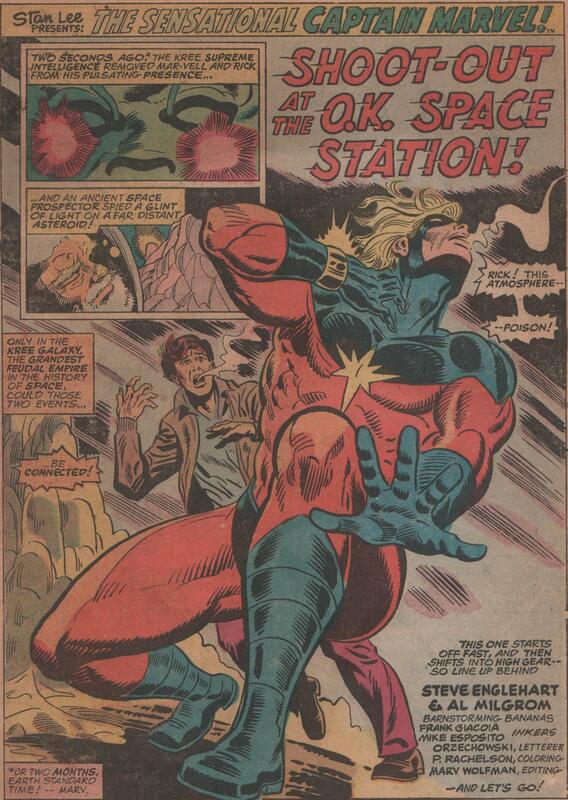 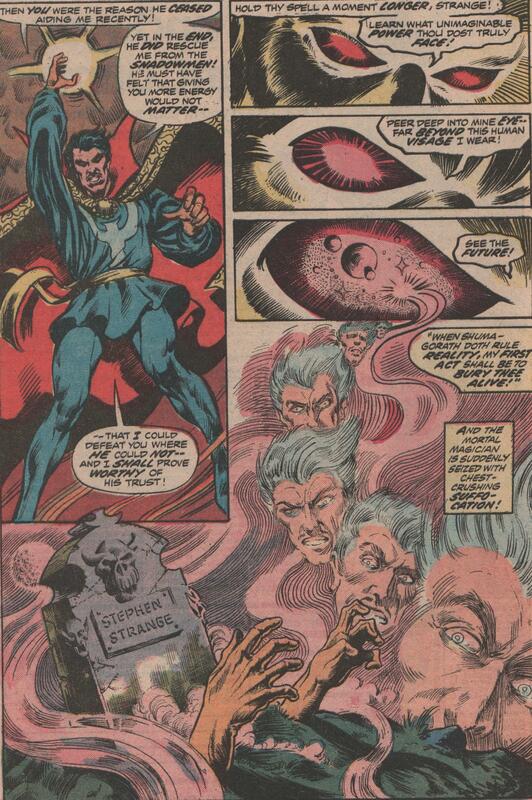 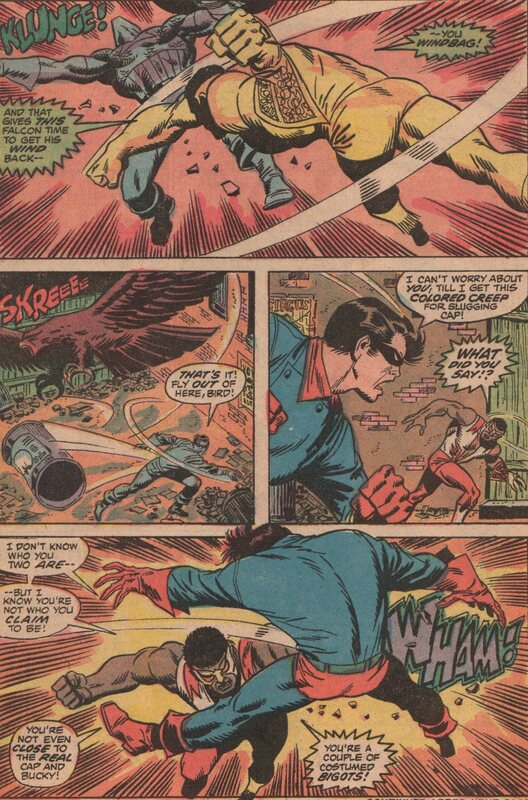 The writer of this issue is none other than “Stainless” Steve Englehart! 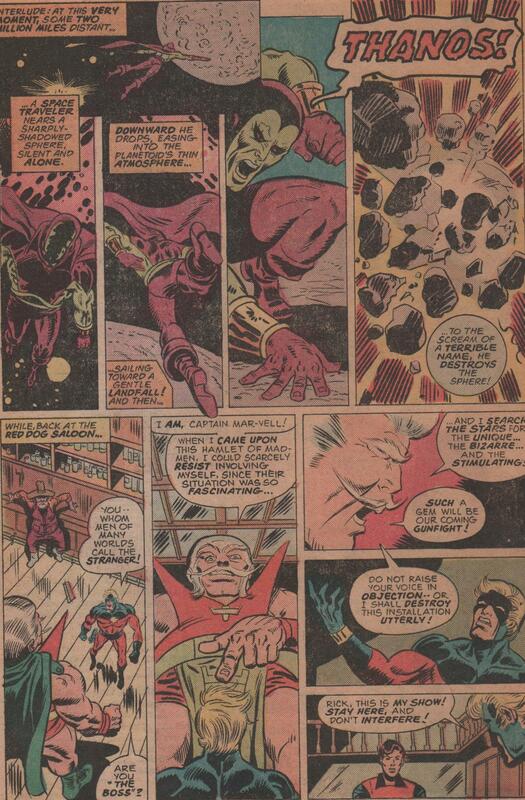 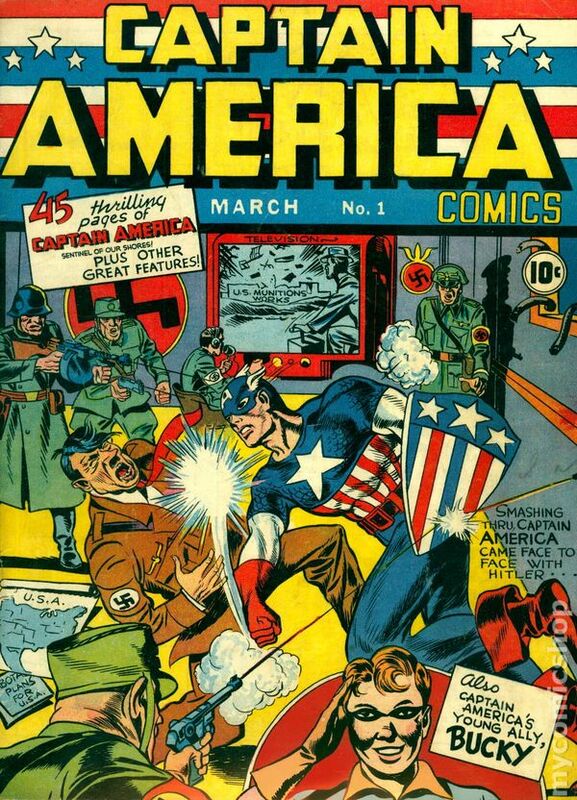 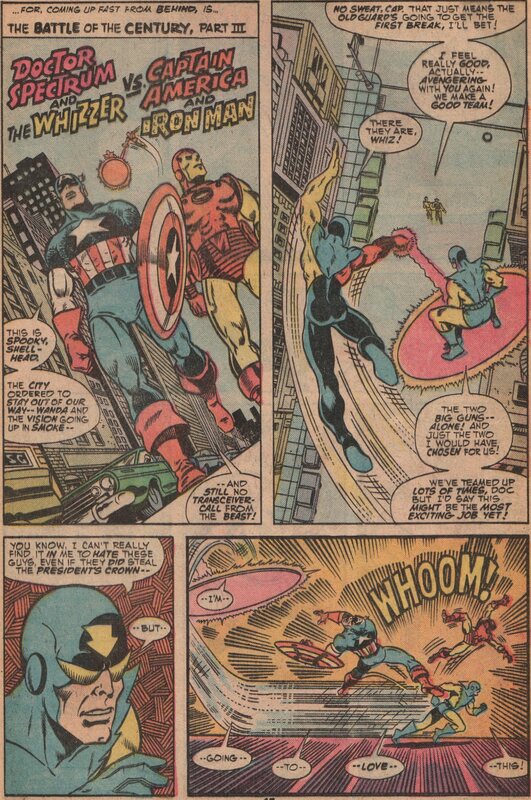 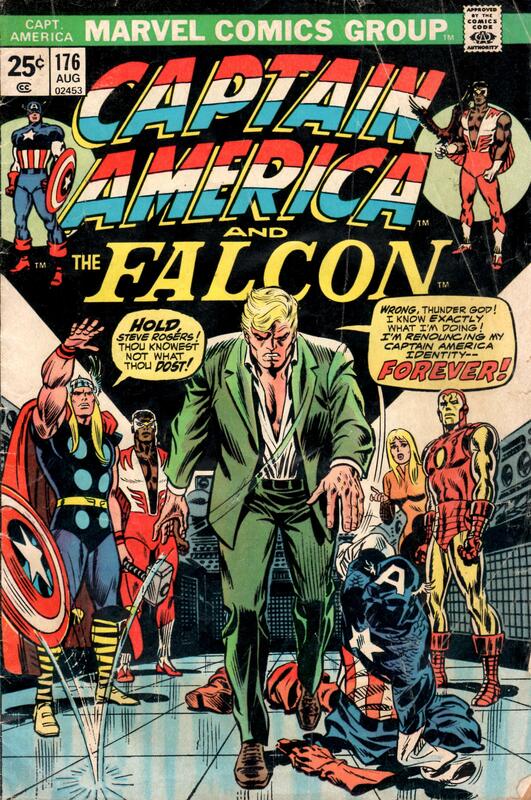 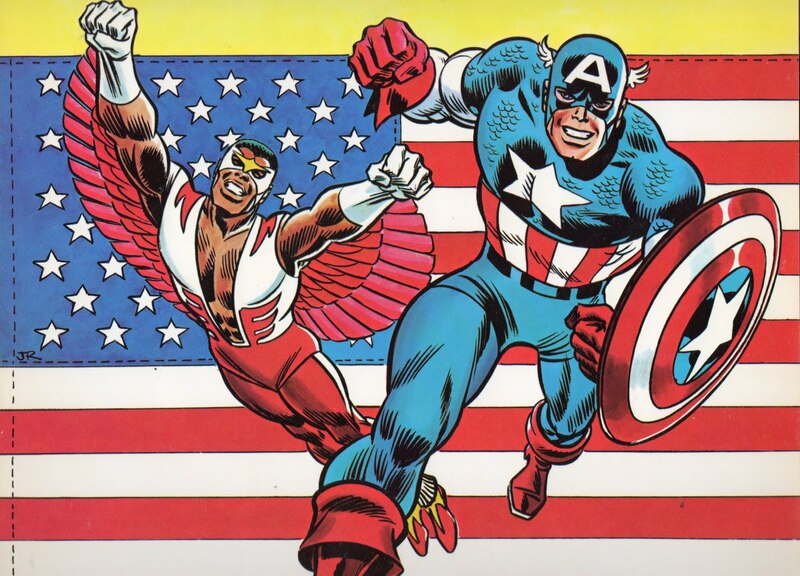 His abilities for concocting incredible stories are well-known, and anyone out there that doesn’t own first hand evidence of that, pick up his Avengers stories, Captain America, Dr. 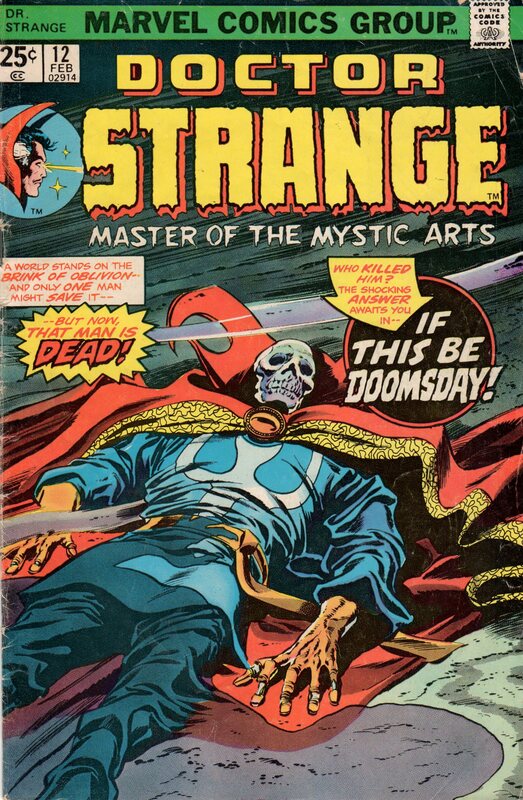 Strange, etc. 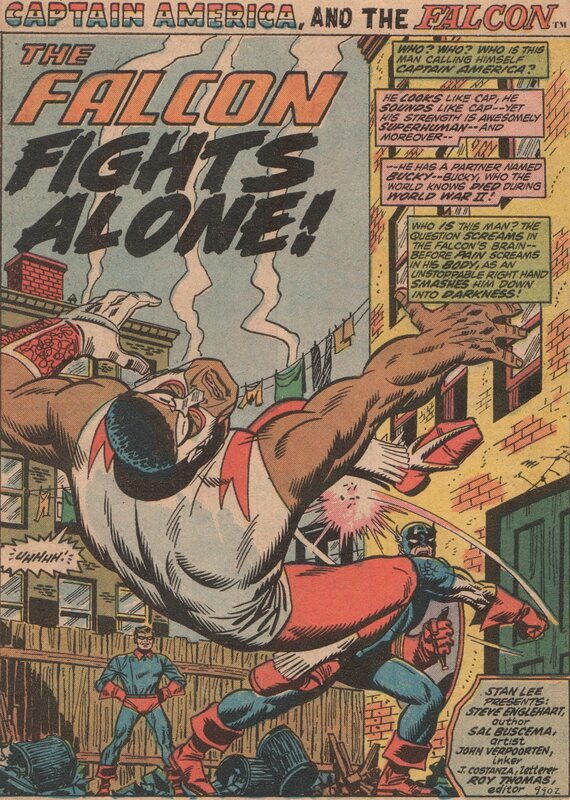 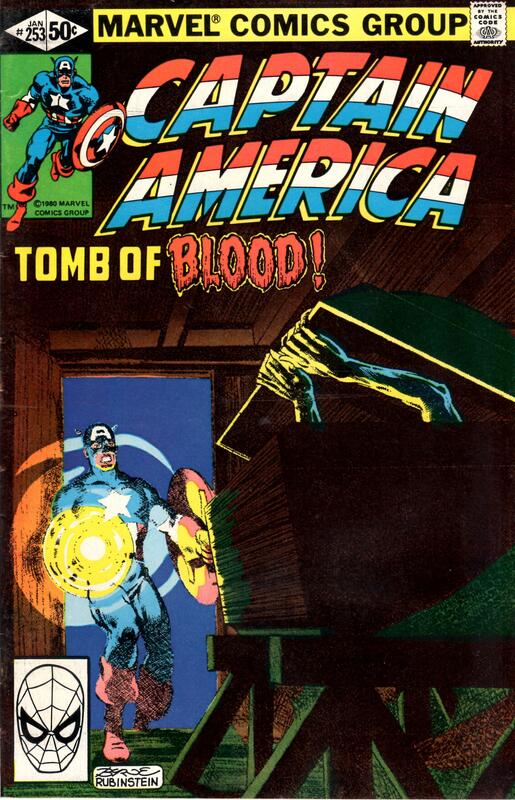 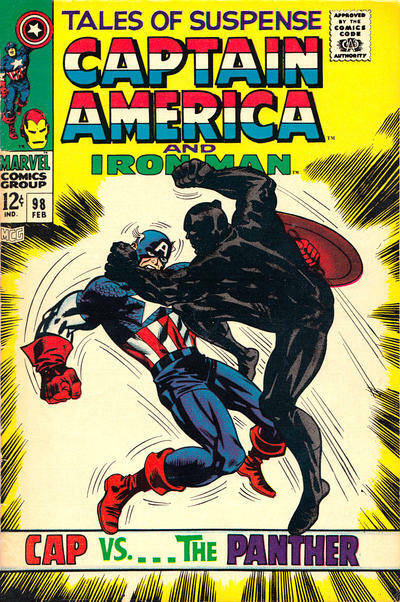 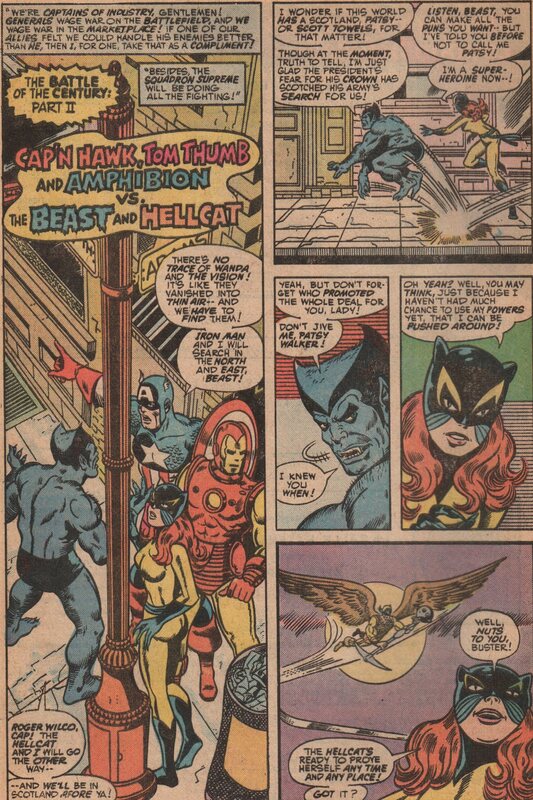 The pencils (and plot assist) are by the ever reliable Al Milgrom (cover as well, with inks by Alan Weiss). 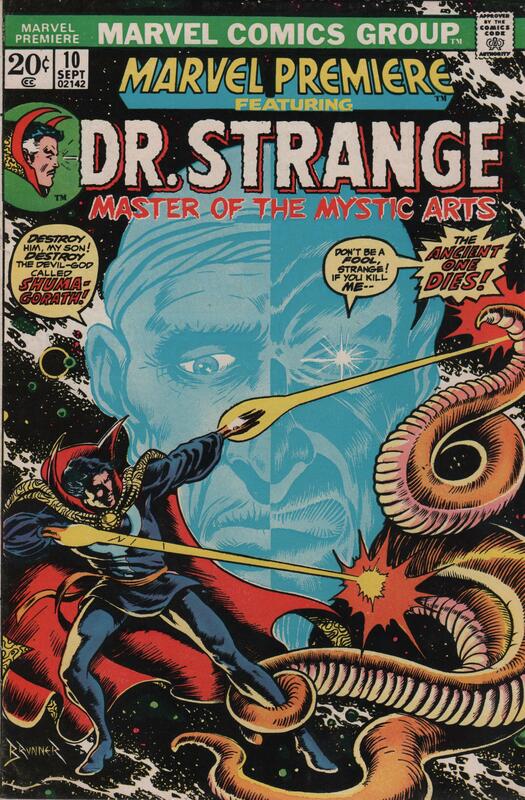 This guy is very underrated, and when you look at the pencils, inks, plots, scripts, etc., you have to give the man his due. 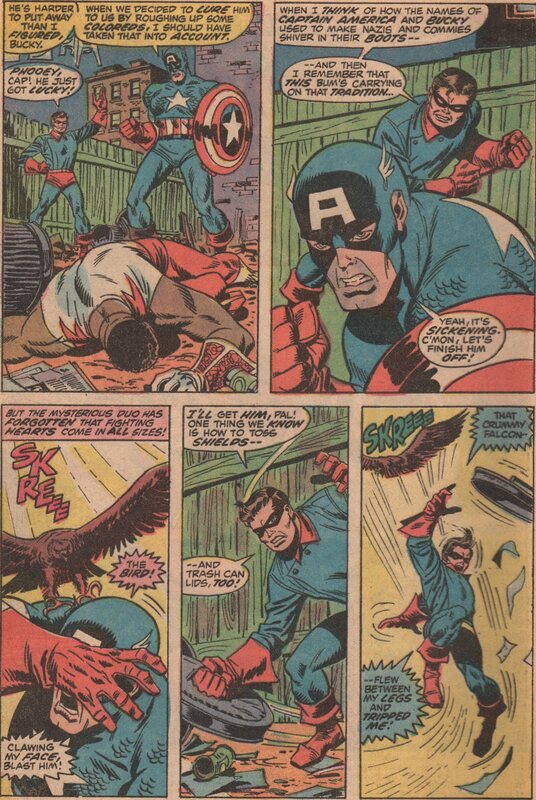 The inks are by two consummate pros, and no one can deny that Frank Giacoia and Mike Esposito are anything other than that. 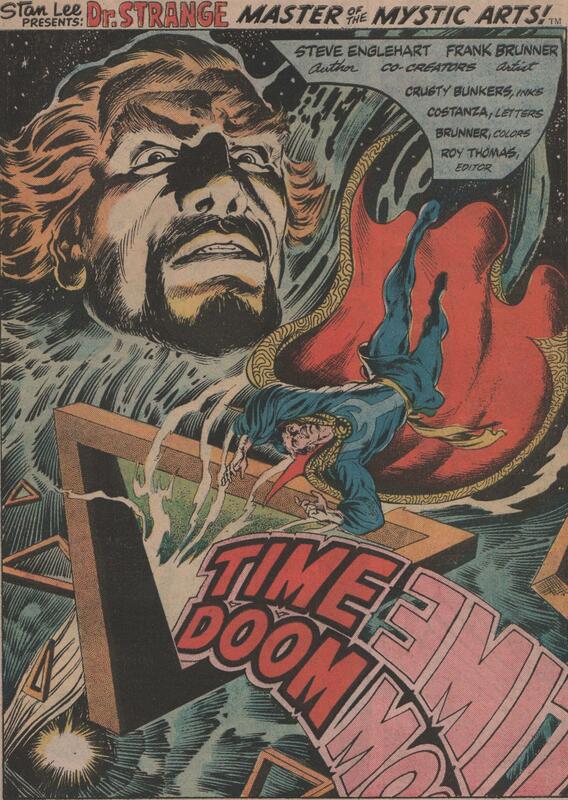 The colors are by Phil Rachelson and the letters by Marvel mainstay Tom Orzechowski!